We’d love your help. 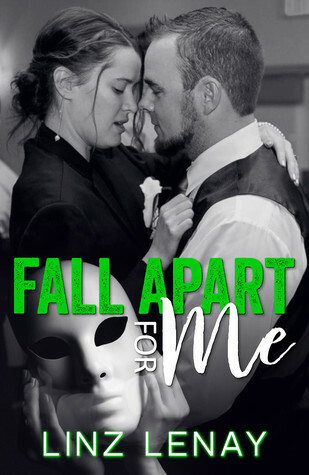 Let us know what’s wrong with this preview of Fall Apart For Me by Linz Lenay. He stares at me from afar, but never makes a move, I’m going to change that. I watch her from a distance, to keep her safe, I never stood a chance against that wicked gleam in her eye. Bastian Sterling, head of the German Syndikat, knows his life isn’t sunshine and rainbows. He wants to know everything there is to about Lizy Kate without having to put her in danger. Keepi He stares at me from afar, but never makes a move, I’m going to change that. Bastian Sterling, head of the German Syndikat, knows his life isn’t sunshine and rainbows. He wants to know everything there is to about Lizy Kate without having to put her in danger. Keeping her at a football field distance isn’t going to last long, he’s already caving to his heart. Lizy Kate, Ex-English teacher and current Editor/Author, hasn’t had an easy past, but her time in her best friend’s town is just what she’s needed to start picturing a future. Stalker behind her and hours away, she can finally focus on being happy, and that involves the one man who won’t give into what they both want. When plans are formed and things start happening around their beloved town, can Bastian keep Lizy safe? Will he finally realize that they’re better off together? To ask other readers questions about Fall Apart For Me, please sign up.